Anytime you change your running routine, whether increasing mileage or speed, the risk for injury does increase slightly. While there are no guarantees, there are ways of increasing mileage that can minimise your risk. First and foremost, follow the guideline of increasing weekly mileage volume by no more than 10 percent, and remain at that new mileage level for three weeks before increasing again. Also be certain you are running in the proper shoes. If you have not already done so, get your shoes professionally fit and have a step analysis done. Remember to replace your shoes often and examine them frequently for signs of wear and tear. Be sure you have implemented any recommendations you may have received from your health care professional that treated your previous running injuries too, like specific strengthening and flexibility exercises or wearing custom shoe inserts. Next, develop a regular running routine that includes a proper warm up and cooldown phase. Including these for each run is very important and something that too many runners are guilty of skipping. If you are injury prone, warming up and cooling down properly is even more important. Adding on kilometres in the warm up phase and/or the cool down is a relatively easy, gentle way to increase your overall weekly mileage with minimal stress on your body, posing very little risk of injury. Try warming up before your run by walking for five to 10 minutes and then gradually move into an easy run pace. (Or use a combination of walking and running for another five to 10 minutes.) For example, if your normal run is six kilometres, incorporate a one kilometre warmup of walking or run/walking at a very comfortable pace, about two minutes slower than your normal run pace. 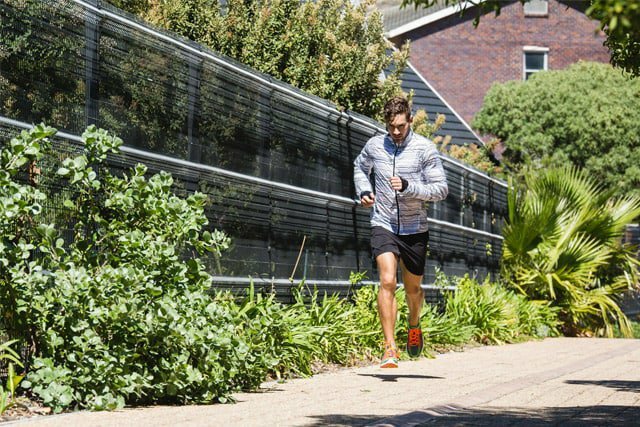 After the warmup period, move into your normal run routine. The cool down process is much more important than most runners realise, as it brings your body back to its pre-exercise state. To cool down after your run, try walking, running easy, or use a combination of running and walking for an additional half a kilometre. Once your body has adapted well to increased mileage before and after your runs, then you can consider increasing the distance of the workout portion. Again, do small, gradual half-kilometre incremental increases and allow time for adaptation. Also, develop and implement preventative care measures like stretching, foam rolling, ice baths, core exercises, and massages on a regular basis. Stretching and foam rolling can be done on a daily basis, and core exercises can be done every other day. Ice baths, or at least cool baths, can be used after every run but especially after longer distance weekend runs. Regular massage can also help by loosening tight muscles, restoring range of motion, and removing adhesions.